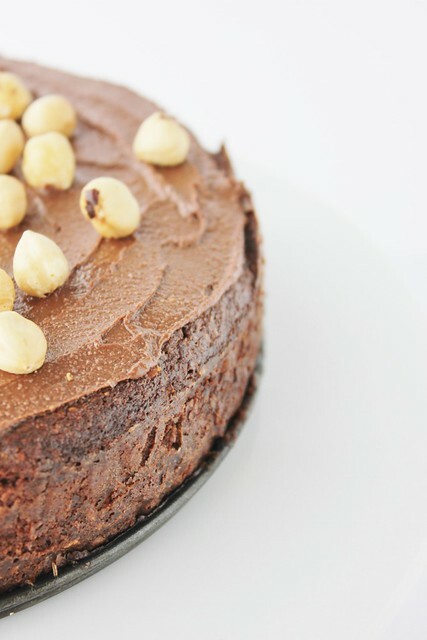 I'm excited to share this Nutella cake I made last year. It's made with homemade Nutella and no flour at all. 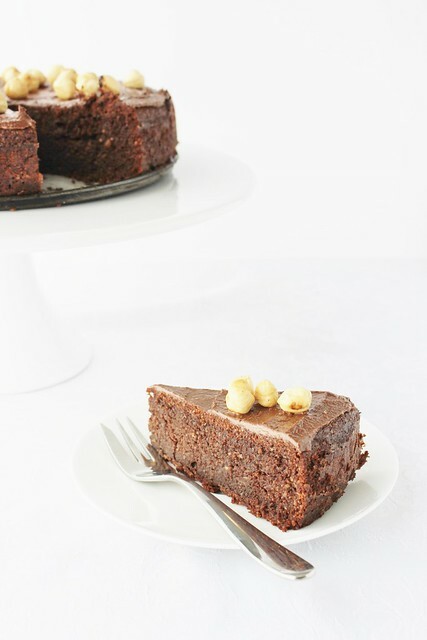 Perfect for those following a gluten free diet but without all the tricky flour replacements. Line a baking tray with baking paper and spread hazelnuts in single layer. Toast for approx. 5 – 10 minutes or until the skins start to come loose and you can smell the hazelnuts. Pour nuts into a clean tea towel and rub together to loosen the skins, remove the skins from the remaining hazelnuts and leave to cool completely. Melt chocolate in shorts bursts in the microwave and leave to cool completely. In a food processor, grind the hazelnuts until they form a paste. Add the coconut oil, sugar, cocoa, vanilla and salt and process until mixture is smooth. Add the melted chocolate and process again until smooth and well blended. Pour the mixture through a sieve to get rid of the hazelnut chunks. The homemade Nutella will be very runny but it will thicken as it cools, place it in a container and keep refrigerated until needed. Nutella can be warmed slightly to soften and will keep for 2 weeks. Preheat the oven to 180 degrees C and line a 9" cake tin with baking paper. In a large bowl, beat the egg whites and salt until stiff consistency. In a separate bowl, beat the butter and homemade Nutella together. Add egg yolks and ground hazelnuts and mix until combined. Fold in the cooled, melted chocolate. Lighten the mixture with a large spoon of egg white mixture and mix until combined. Gently fold in the rest of the egg whites a third at a time. Pour mixture into cake tin and bake for approx. 40 minutes or until the cake's beginning to come away at the sides. When the cake is baked through, leave to cool in the tin. Toast the hazelnuts in a dry frying pan until you can smell the hazelnuts and they are golden-brown in parts, leave to cool completely. 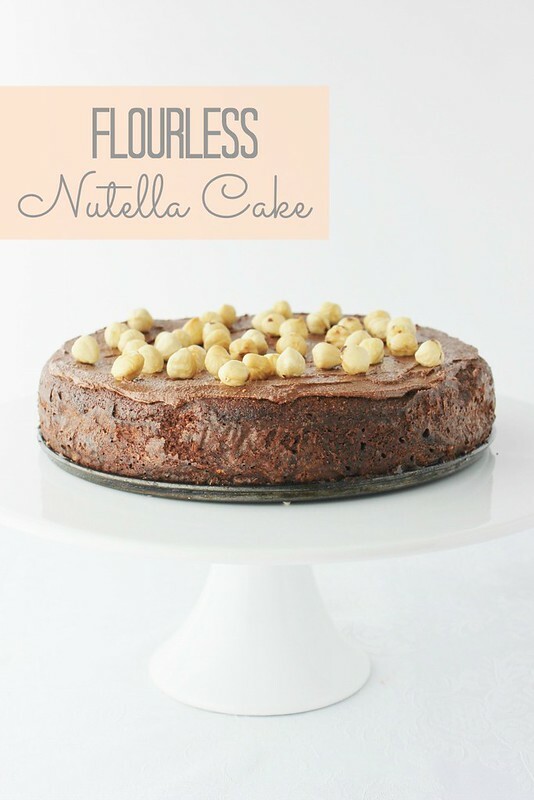 Spread the remaining homemade Nutella over the cooled cake and sprinkle with toasted hazlenuts.